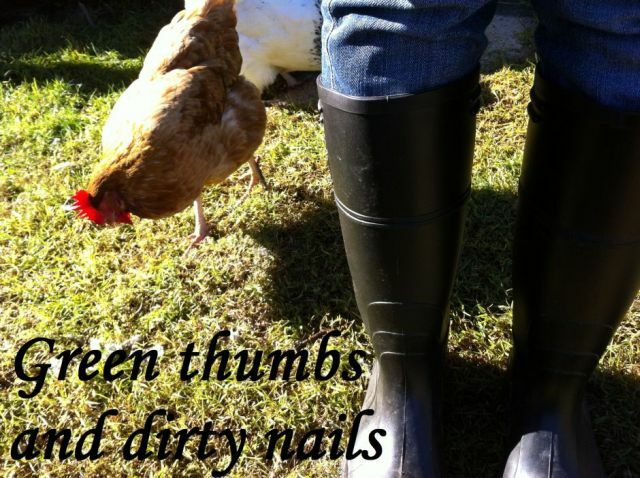 Green thumbs and dirty nails...: The girls are laying. About a month ago I went to my chook pen and found what looked like the remains of an exploded chicken - there were feathers everywhere!!! After doing an emergency head count (all girls accounted for) I turned to google for the possible cause of all these extra feathers. 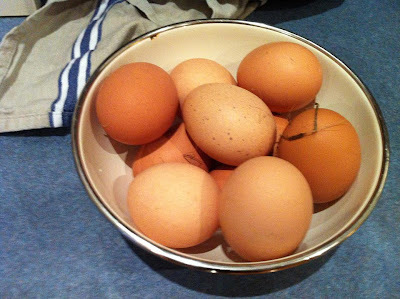 My chickens were moulting. A natural yearly cycle when chickens shed their old feathers and grow back some new ones. Usually this happens in autumn/winter. During this time chickens will stop laying until their new feathers have grown back. So I waited patiently for a few weeks. I fed them treats of silverbeet, lettuce, and bread soaked in milk (as Rhonda recommends) and hoped for the eggs to return quickly. This week we are back to almost full production.